Candlemas is a Christian celebration which takes place annually on the 2nd February and is the last festival in the Christian year which is dated by reference to Christmas (those which follow are with reference to Easter). This is also the period between the December (winter) solstice and March (spring) equinox, so it’s Winter’s halfway point whilst we are all waiting for Spring. 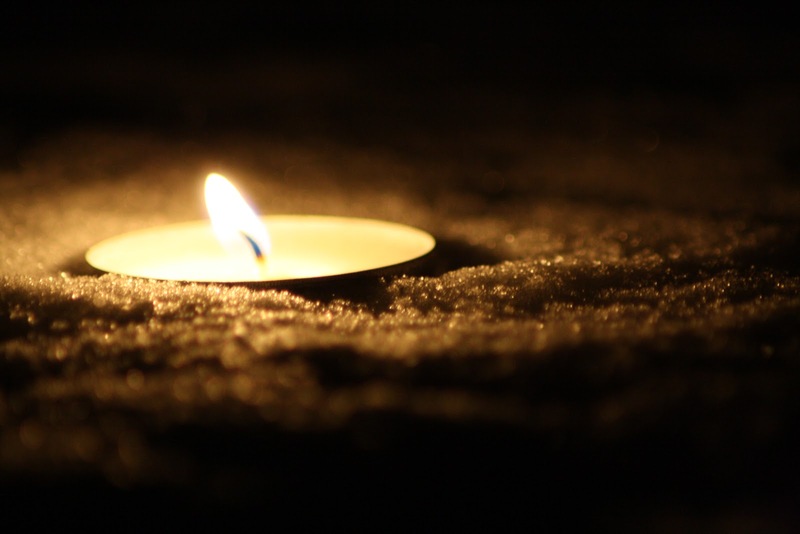 Before Christianity it was called the Festival of Light, which marked the mid-winter point. So, let’s hope Candlemas this year is cloudy and rainy! Another belief is that any Christmas decorations which haven’t been taken down before twelfth-night, should be left up until Candlemas – just think of all the extra dusting! Traditional food for Candlemas is Crepes (or pancakes as we know them). For La Chandeleur (as the French call it) the tradition is for each member of the family to cook a crepe whilst holding a coin in their hand. This is supposed to assure happiness and wealth until the next Candlemas celebration. The school Spring Term used to be called Candlemas Term, and still is in a few educational establishments, especially in Scotland. It commemorates the ritual purification of Mary, 40 days after the birth of her son (40 days for a boy, 60 for a girl). She could then take part in religious services again. This day also marks the ritual presentation of the baby Jesus to God in the Temple at Jerusalem where they were met by Anna and Simeon and Simeon held the baby Jesus and called him a Light to the World. The reason it is called Candlemas is that this is the day when the Church’s candles are blessed for the year and many people also like to place lighted candles in their windows on Candlemas night. 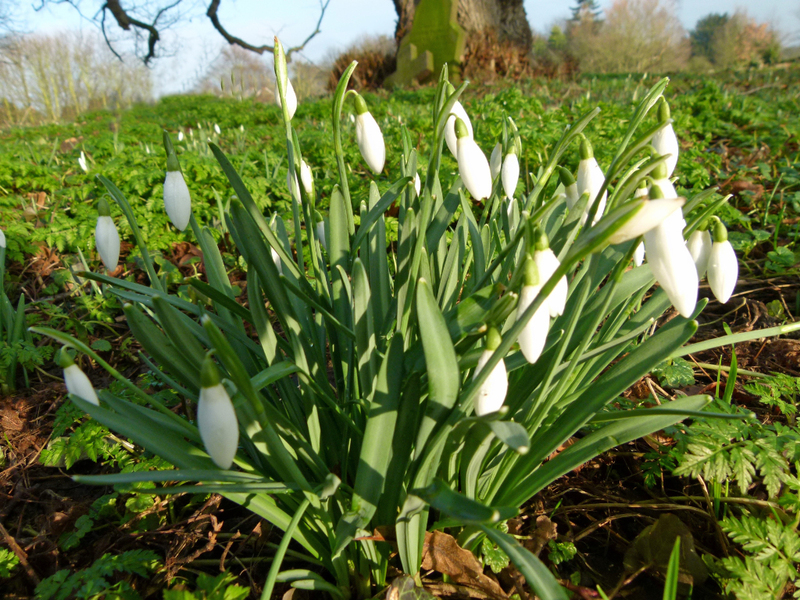 Snowdrops are also known as Candlemas Bells, this is because they bloom early on and some before Candlemas Day even – heralding the Spring. 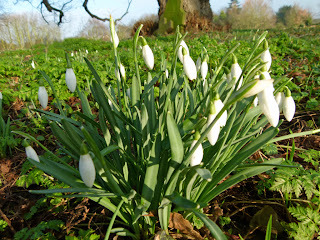 There are some old superstitions concerning Snowdrops. One is that if someone brings them into the house on Candlemas Day (some say before Candlemas Day) then it is very bad luck. However, it has also been thought that these beautiful flowers can purify the home. They are also said to be a symbol of hope. Although observed by many (and perhaps not so many now as it used to be) sadly it isn’t a public holiday in the United Kingdom . I'm hoping that snowdrops purify the home as I have two pots of them on the kitchen window. I too wish that today was a public holiday!